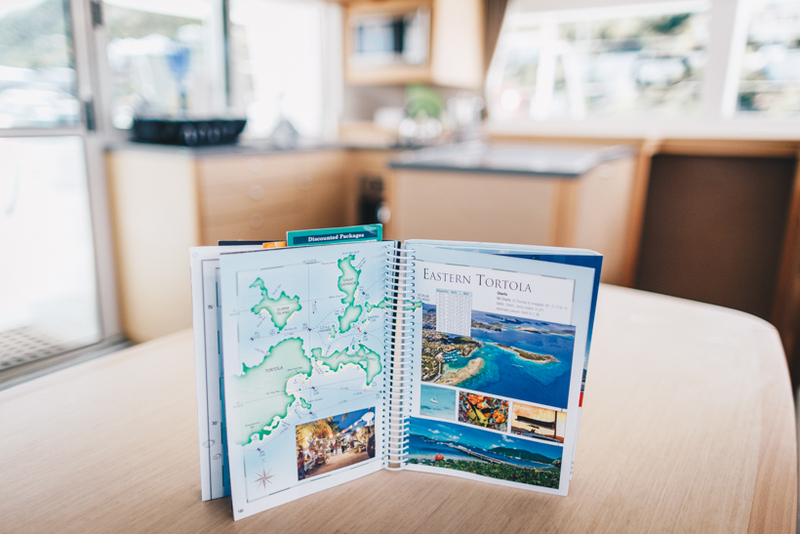 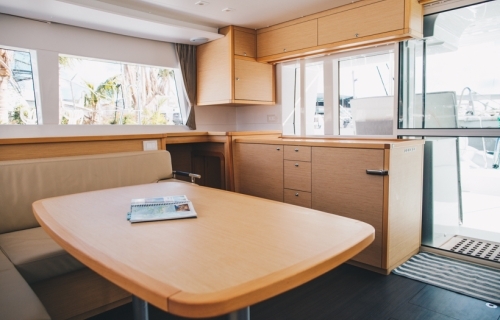 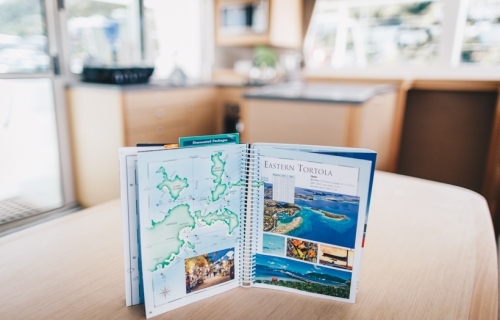 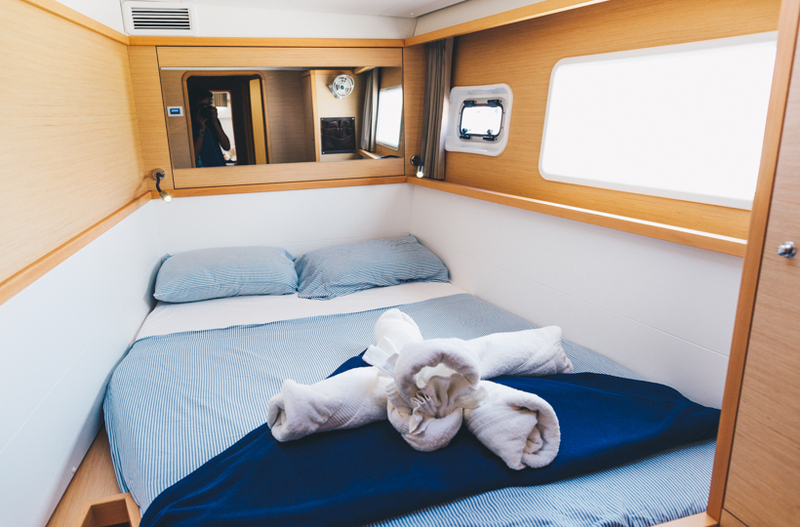 Accommodating up to nine guests comfortably, Somewhere will exceed your highest expectations for your BVI adventure. 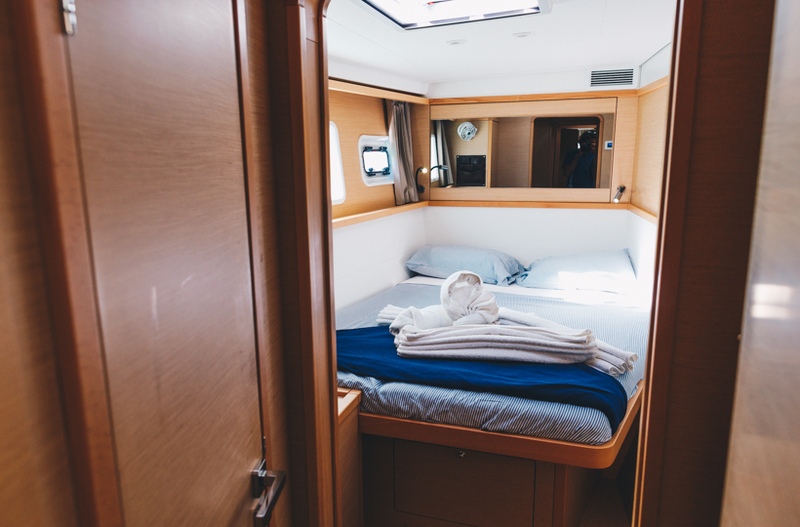 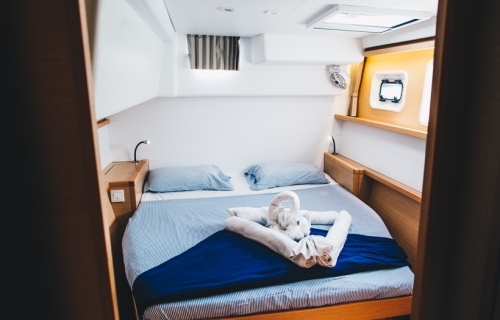 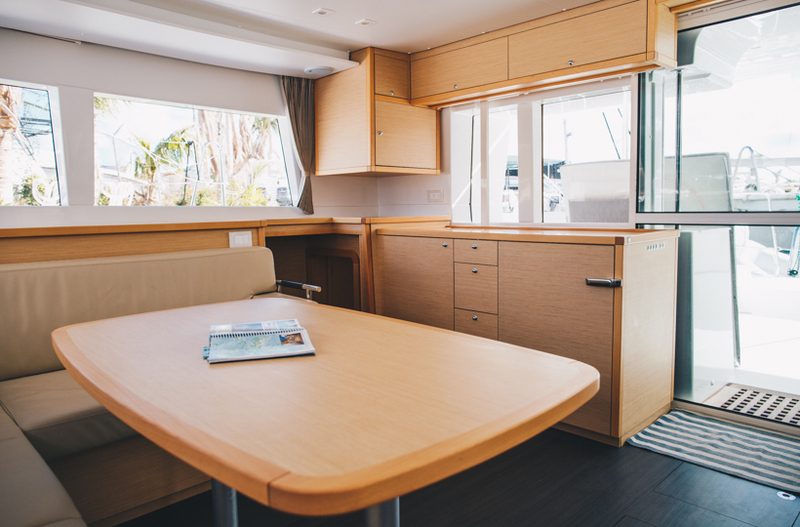 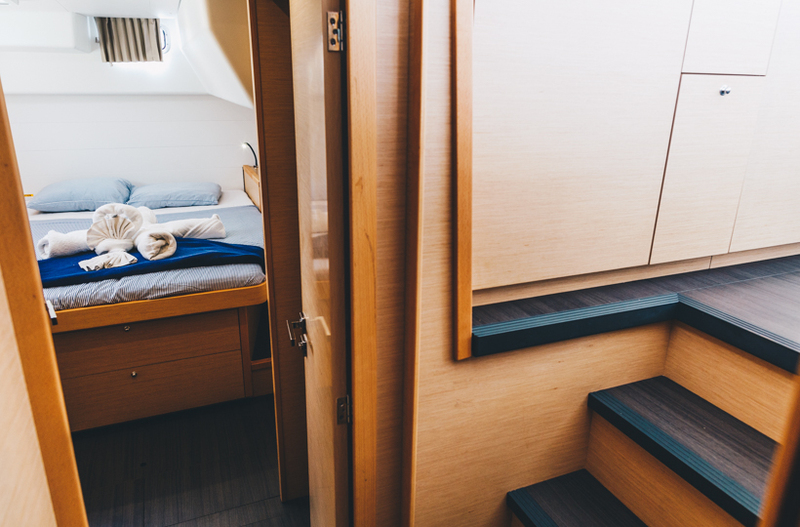 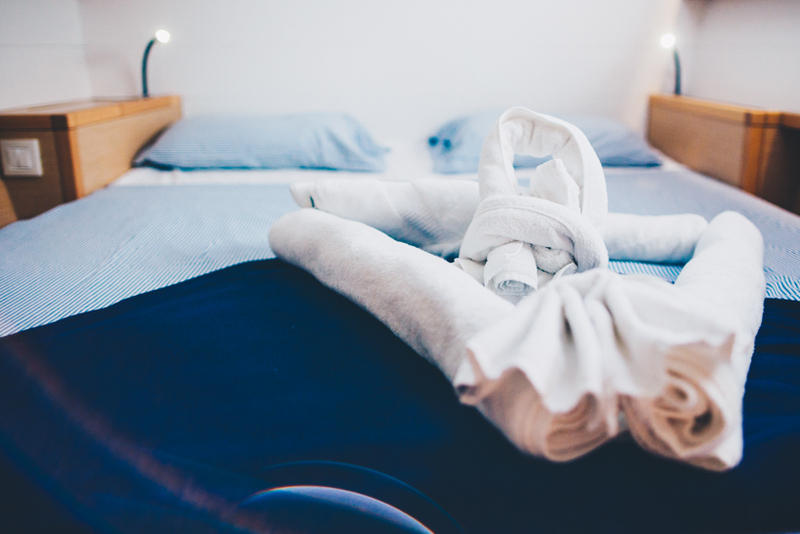 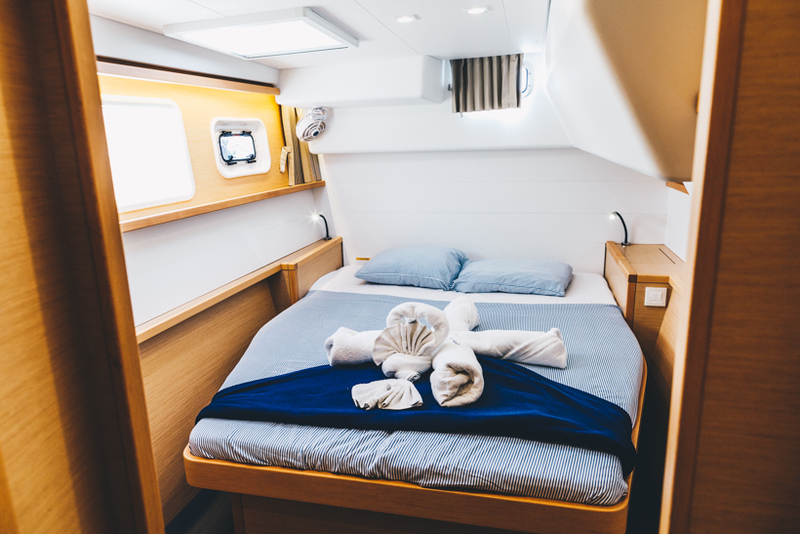 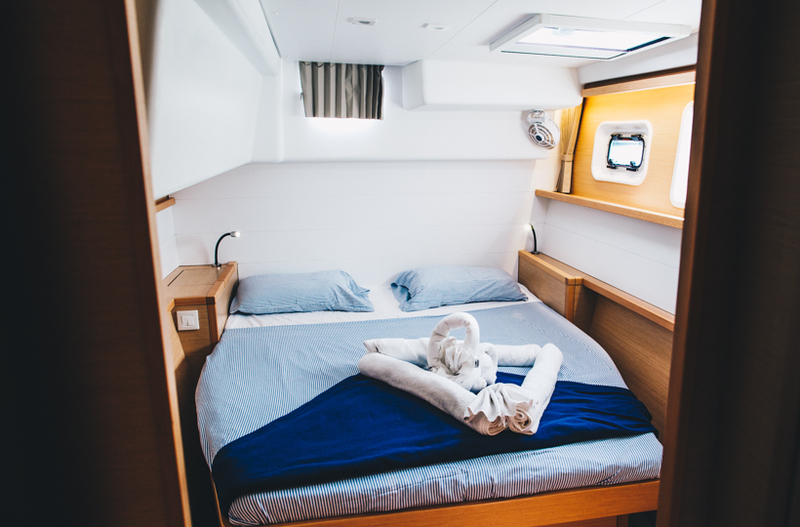 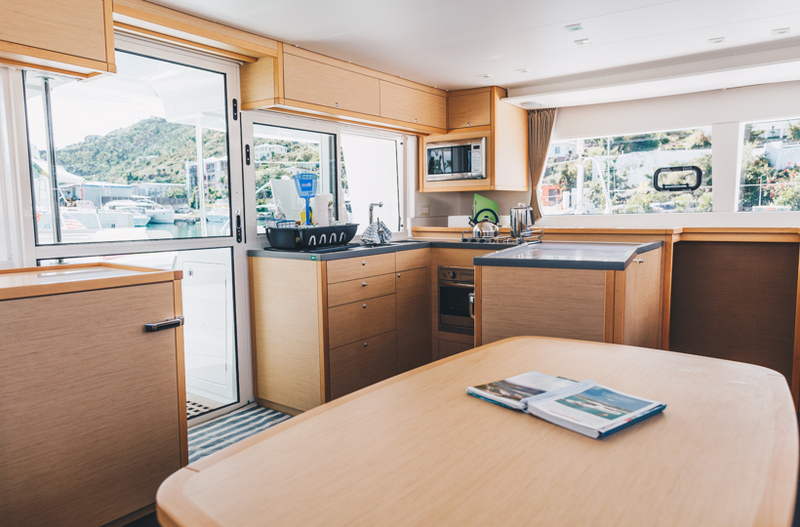 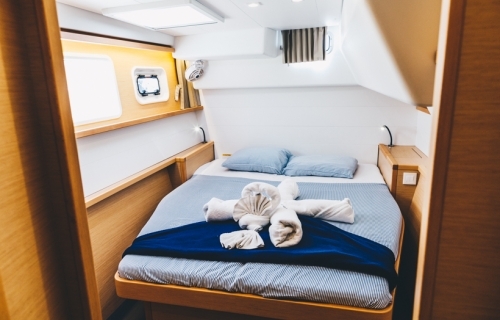 The four staterooms with en-suite bathrooms have queen beds, 6'6" headroom and individually controlled air conditioning, with an additional single v-berth in the port bow. 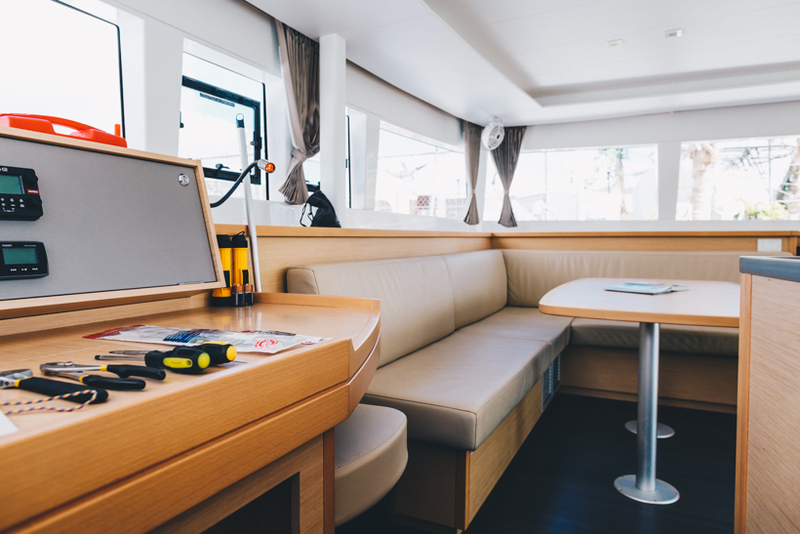 The salon is extremely well appointed with a comfy settee and a great indoor dining option. 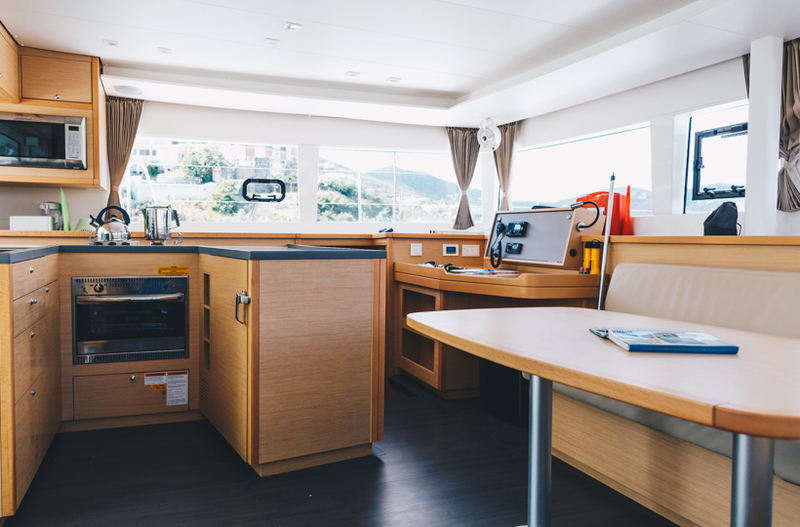 The galley faces the cockpit so the cook will always be part of the action. 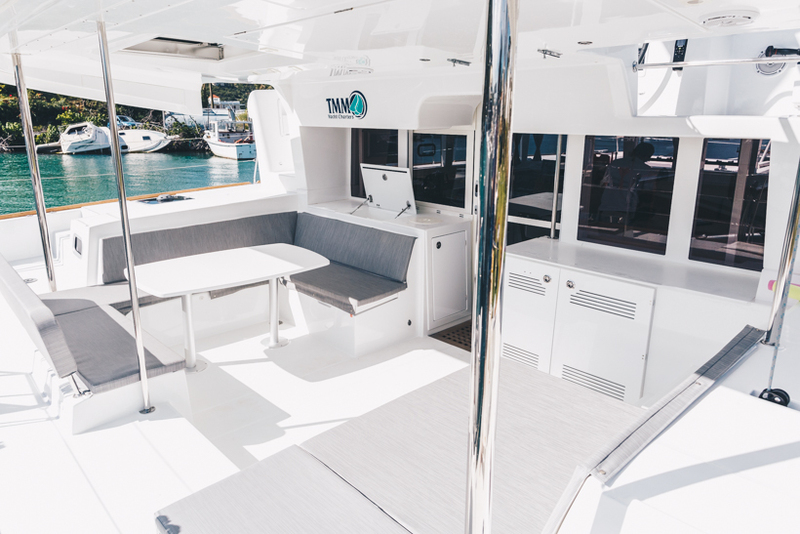 "Upstairs" there is the most popular spot of the yacht, the fly bridge, offering seating for the captain and the crew. 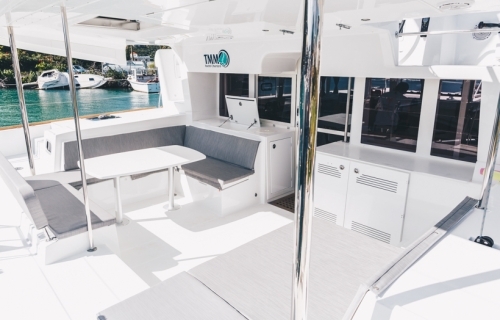 Forward are huge trampolines plus an inviting seating area which is great whilst under sail. This new yacht is going to be a popular lady so book early for your idyllic BVI experience. 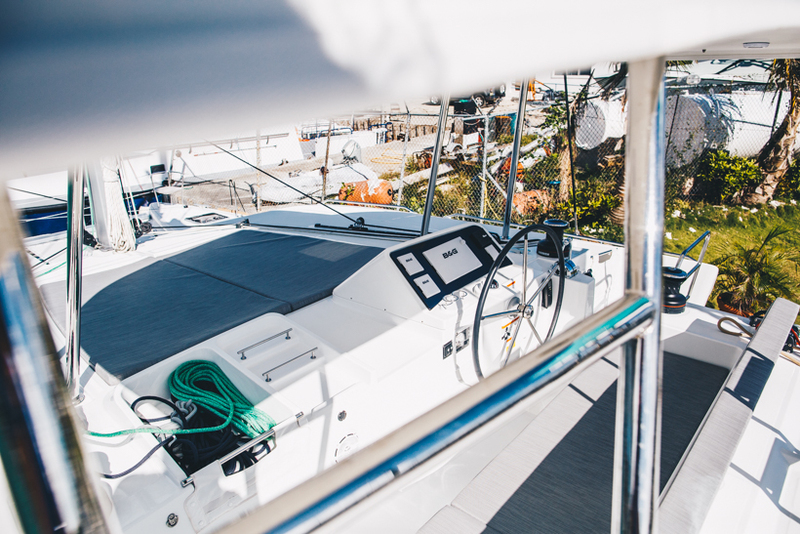 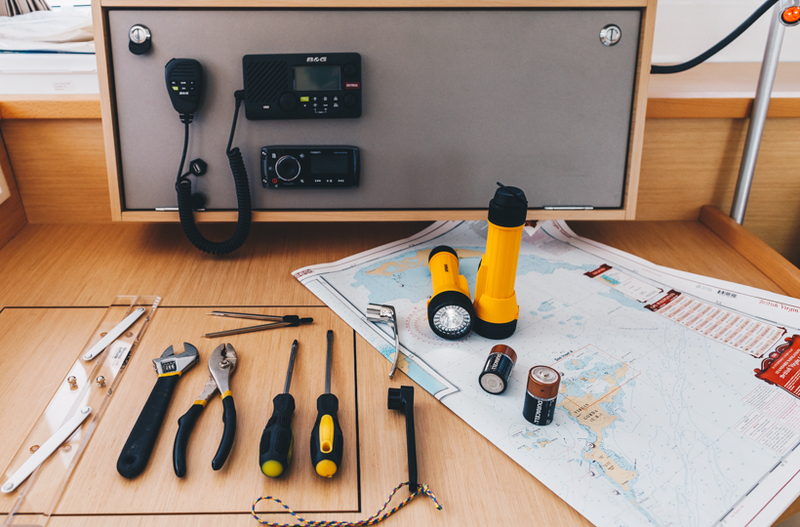 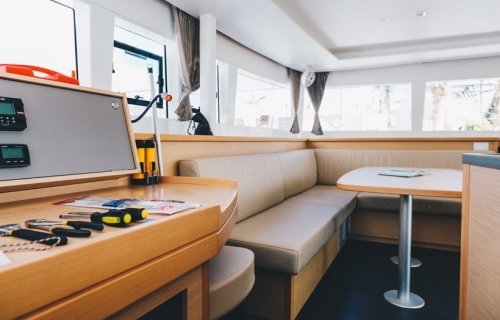 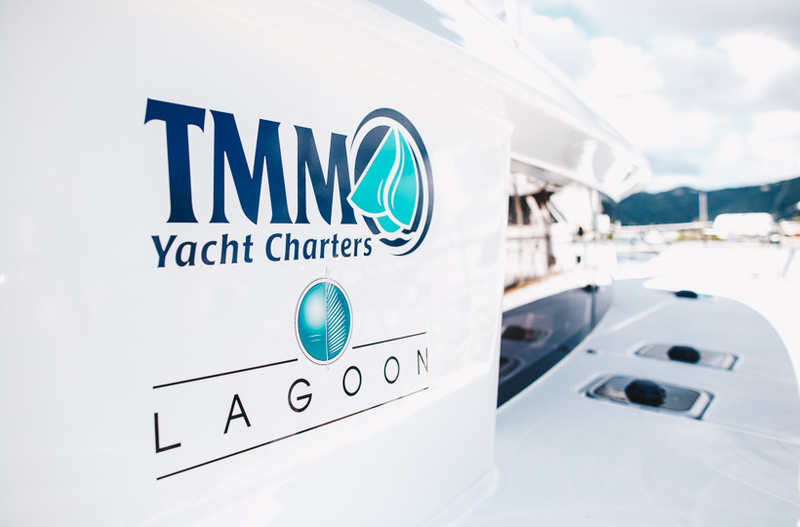 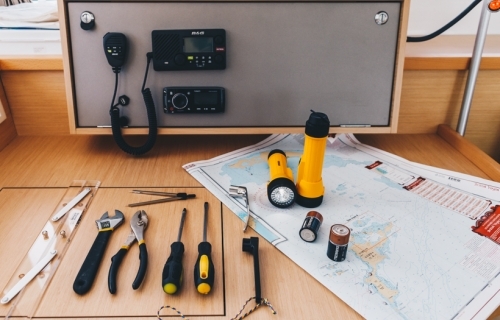 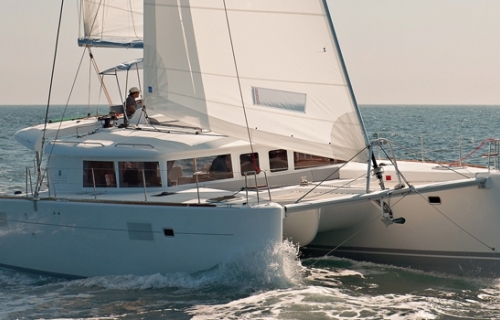 2500w Inverter, Generator, Air Conditioning, Davits, Electric Flybridge and Davit Winches, Square Top Mainsail, Folding Props, Cockpit Refridgerator (21 US Gallons), Stainless Steel Galley Refrigerator (34 US Gallons), Stainless Steel Freezer (20 US Gallons), Ice Maker, Microwave, Factory Bimini, Radar, Chartplotter at helm and nav staion.